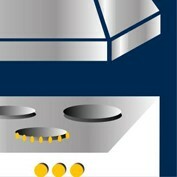 Capture, extraction and filtration of pollutants and heat in commercial or collective kitchens. Single backed or double central. Single modules of length 1000, 1500, 2000, 2500 and 3000 mm. Without visor or with depth of 1000, 1250, 1500 or 1750 mm. Height of 400 mm and 500 mm. Constant hood height for a maximum capture volume. Self-supporting construction without visible attachment or sharp edges for cleaning without risk of injury. 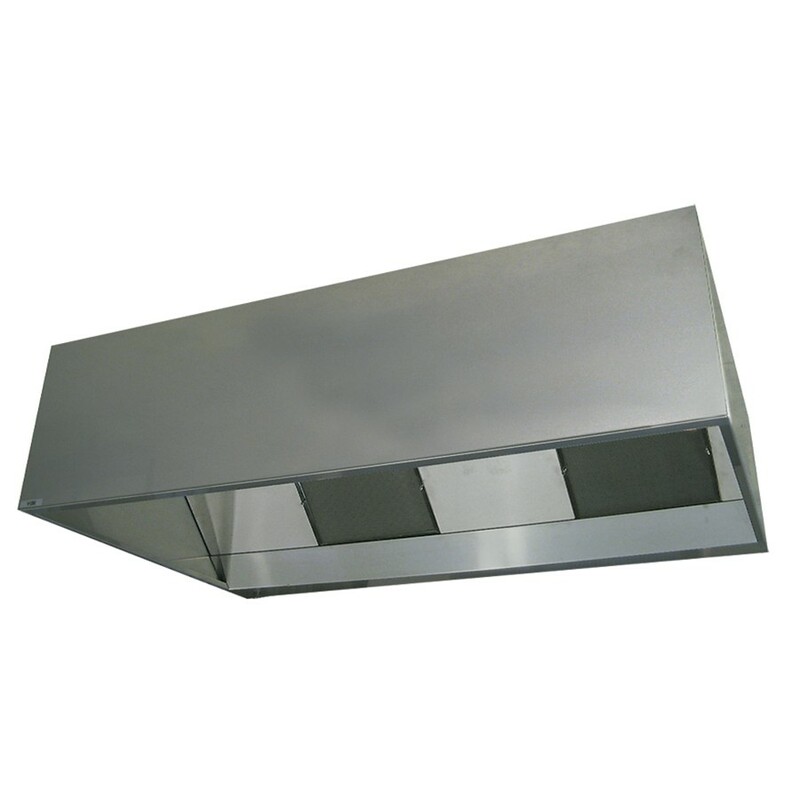 Side reinforcement, 15/10mm galvanized steel, height 50mm, integrated into the hood, ensuring the rigidity of the assembly. Setting the level from inside the hood and clip-in fastener caps. Gusset at sensor end for rigid join between two modules, while allowing a large air passage. Visible faces austenitic stainless steel AISI 304 (1.4301) with a brushed finish SB. -Central hoods assembled back to back using two hoods backed with partitions. -Sides without obvious elements such as rivets and studs. - Rear and upper surfaces in galvanized steel. -Standard filter galvanized material, stainless steel frame M0397x472x25 mm. - Stainless steel closure plate. - Drain with stainless steel - threaded plug Gas 1/2. Packaging: Packaged on pallet in heat-shrink film. -Rear assembly plate without visible screws and top panel in stainless steel. -Longer and special lengths available. -Accessories (ring plate, balancing guillotine damper, waterproof light etc.). -Motorised hoods, laundries, ovens, comfort, comfort 90/10, 30 to 60% induction, closed filter ceilings, modular ceilings etc.